I couldn’t resist picking up some Passionate Blush Gaura and Japanese painted ferns at Home Depot this weekend. 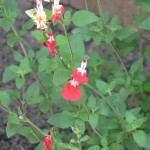 I also couldn’t resist snapping up a bicolor sage, Salvia coccinea, which was mismarked as Lady in Red. 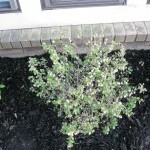 This particular sage has broad, somewhat fuzzy green leaves with large salmon and white-colored flowers. 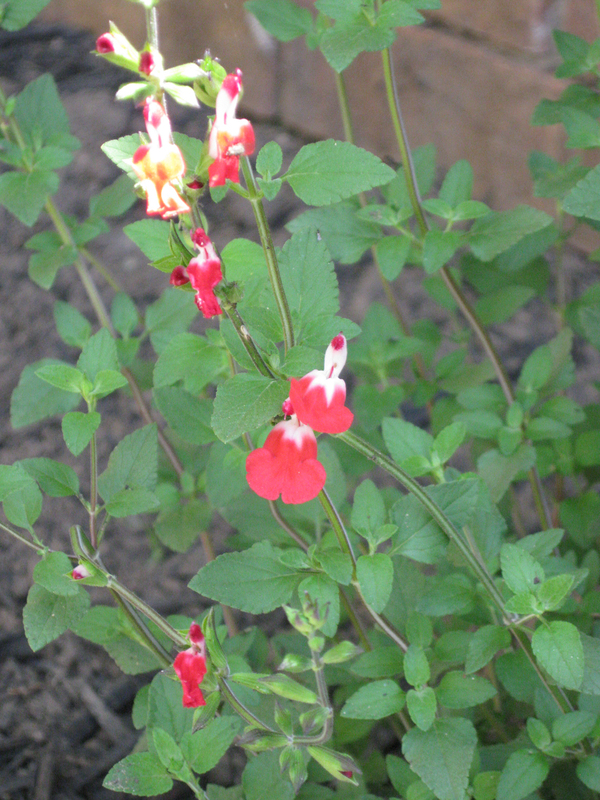 After doing a little reading on Salvia coccinea (Scarlet sage), I’ve discovered that it is a promiscuous seeder and more attractive to hummingbirds and butterflies than the greggii. 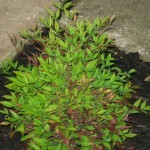 I’m looking forward to seeing this grow wild in our flower beds. 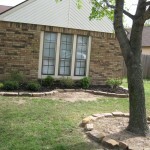 My man and I started on the courtyard beds, digging up alongside the house and laying down stonework. 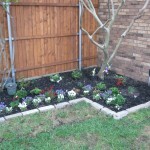 The hard clay soil softened since the rain, so it was easier to till than I thought. 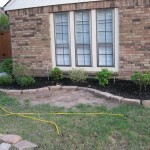 We dug up about 6 feet of earth and framed out two beds with stone. 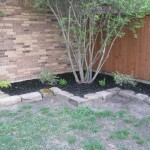 The herb garden will have to wait since we need a better grade of soil to fill the raised bed. Dissatisfied with my soapy water approach, the man decided to pick up a bottle of Bayer Advanced insect repellent earlier in the week. 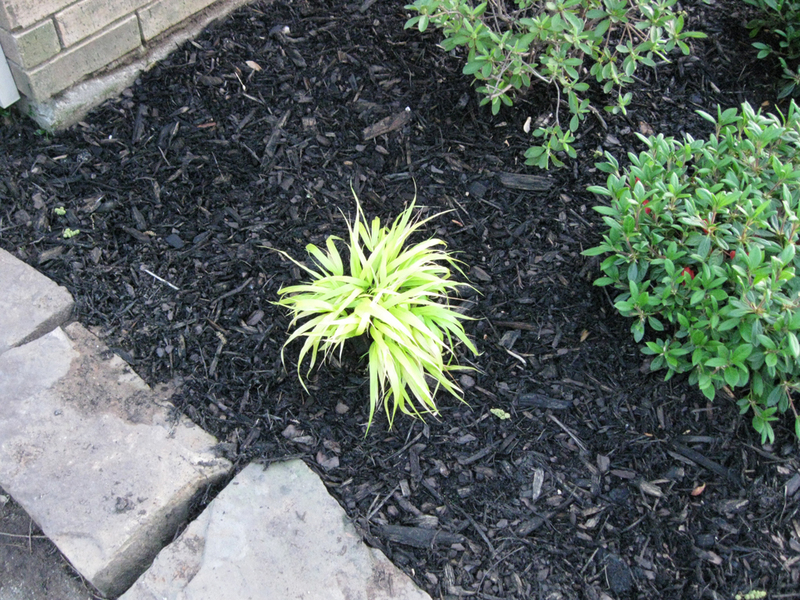 He sprayed the coleus in earnest, though I am somewhat apprehensive that we saved the little plants in time. 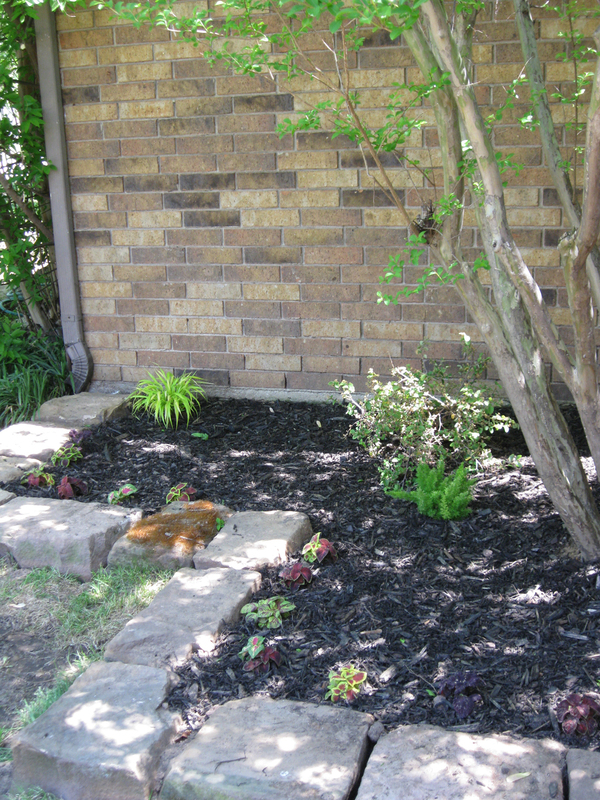 The hosta near the back wall was nearly eaten to the ground. We may have to purchase the hose attachment version to attempt a more aggressive means of protecting the bed. 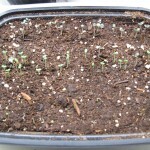 I also transferred the dianthus seedlings into 3″ pots this weekend…what a pain that was. The Burpees tray did not relinquish the seedlings easily, and it ended up a messy affair to extract all of the plants to put into 18 pots. 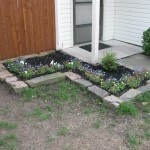 I’m not looking forward to removing the impatiens. A good general knows when and how to turn the tide of battle in his favor. 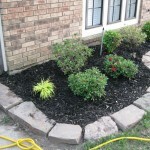 Armed with the recipe for a DIY insecticidal soap, I resolved to reverse my fortune on the garden battlefield and take action against the whiteflies destroying the coleus and the young hosta. I had a leftover 5 gallon plastic jug used to store raw garlic. I then combined 4 cups of water and 2 tablespoons of generic brand lemon-scented liquid dishwashing soap in said container and began shaking. Once it reached a frothy consistency, I grabbed a used Febreze spray bottle which had been doubling as my seedling spritzer, emptied it, and poured my secret weapon into it. 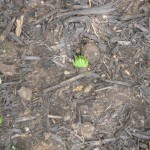 Into the cool morning I marched and started spritzing the ravaged coleus. It seems that only 2 of the survivors were hardly affected, perhaps because of their longer exposure to sunlight. 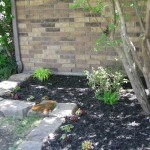 But they received the full bath, as well as the 2 Gold Standard Hostas that had been sitting in the bed. 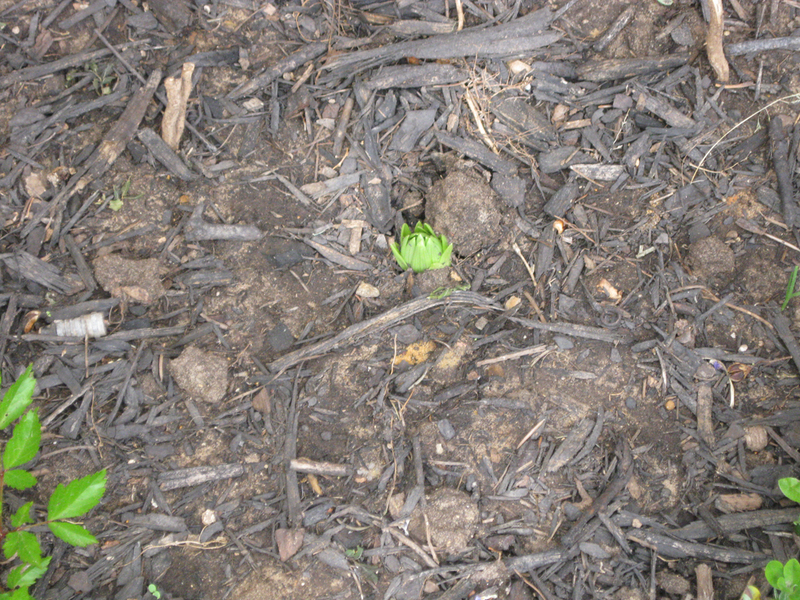 The hosta in the back (again, one that does not receive any sunlight) had been targeted mercilessly, having lost most of its new leaves to the attackers. 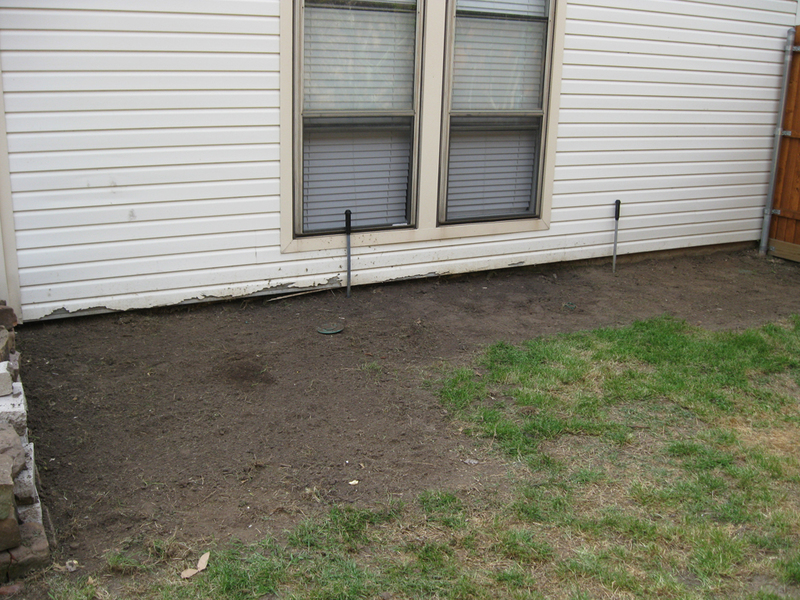 I surveyed the lawn to see if my previous day’s efforts had taken root. I had tackled the issue of the raggedy, browning lawn and turned loose the broadcast spreader. 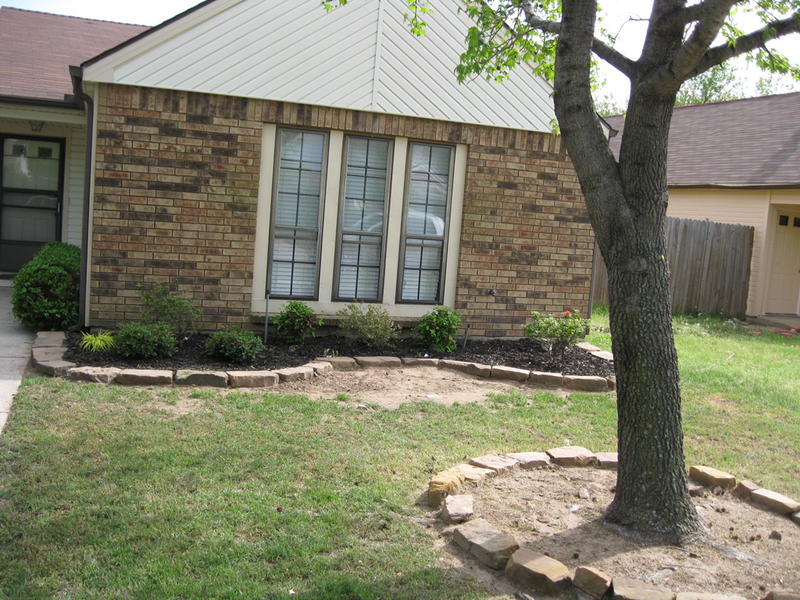 With a bag of Scott’s Turf Builder Bermudagrass Seed, I overseeded the front and courtyards with seed, in an effort to eradicate the patches. 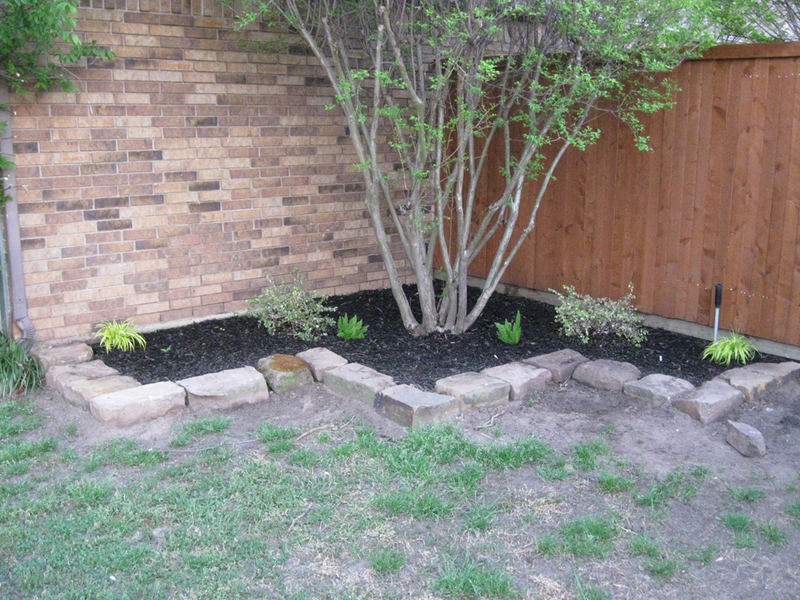 I realize that my efforts might be hampered to the amount of dead and tall grass, plus any hard soil that had not been previously raked. 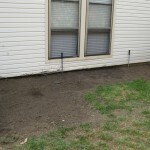 But I was resolved to get the task done and perhaps reseed at a later date in May to patch any remaining holes in the lawn. Let’s see if that 85% germination rate claimed on the label comes true! Something is eating the coleus. 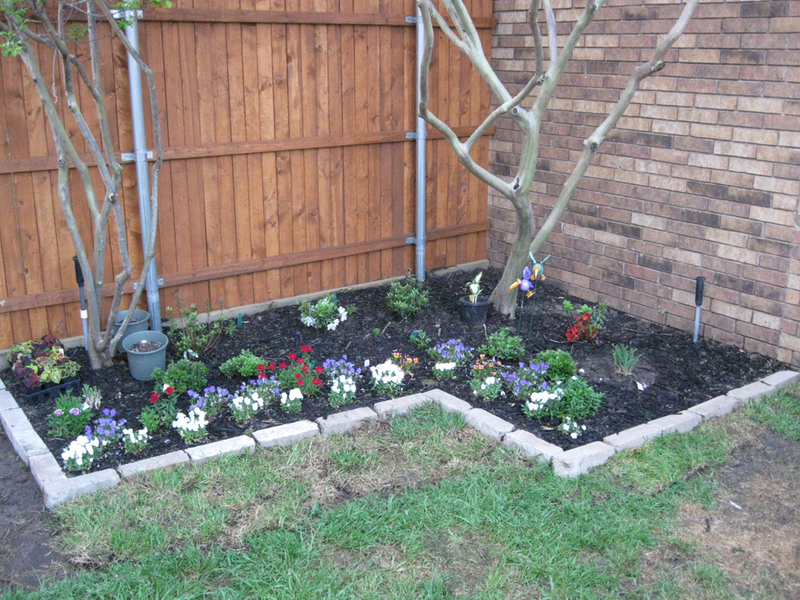 They’ve been in their flower beds for almost 2 weeks…and almost every plant is riddled with holes. The holes are small, circular but do not display any browning. I’m concerned that if this siege continues, the coleus will be thoroughly consumed and killed. I’ve been looking into a systemic solution such as Bayer Advanced. I’ve used it in previous years with some success, but it may take time before it goes into effect. I may have to get an insecticidal soap to get faster results. The most current tally of lily bulbs: 12. 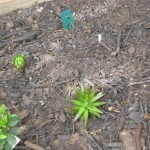 Which means only 3 more lilies (mostly Lollypops) have yet to make a showing. I’ve discovered that the Devil’s Wine calla has sent up a tiny spire. The Snowdrift Astilbe is making slow progress, fanning its leaves. 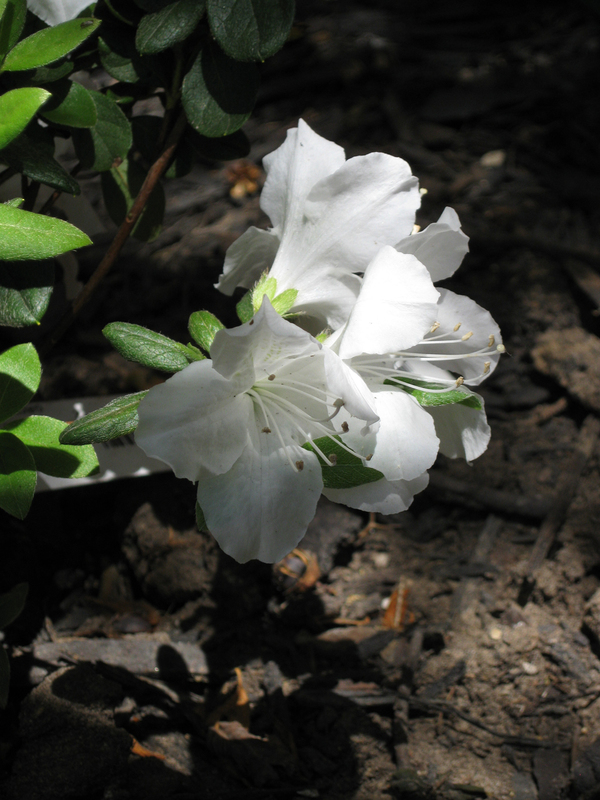 With the recent rains, the azalea blooms on Delaware Valley White and Hot Shot are getting washed away, forming something of a papery mess. 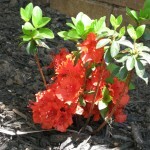 The other red azalea is finally showing buds, but the Macrantha and the Gumpos have yet to show off any potentials. 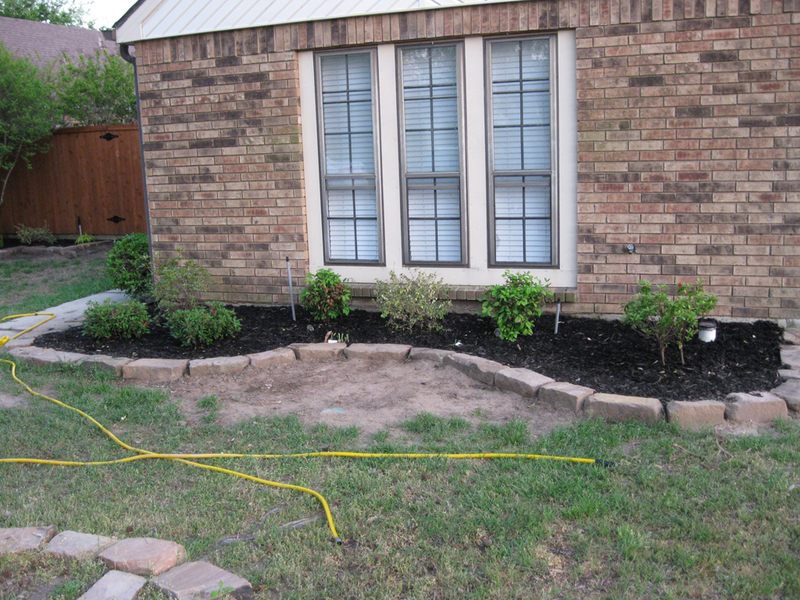 With the crape myrtles finally fully leafed, the courtyard bed is nearly in part/full shade for most of the day. In the front yard, the Encore blooms are sparse. Embers has about wrapped up their show, while the Monarch has not made a profuse showing, teasing us with a handful of coral red blooms. However, Twist is about to make a grand showing. 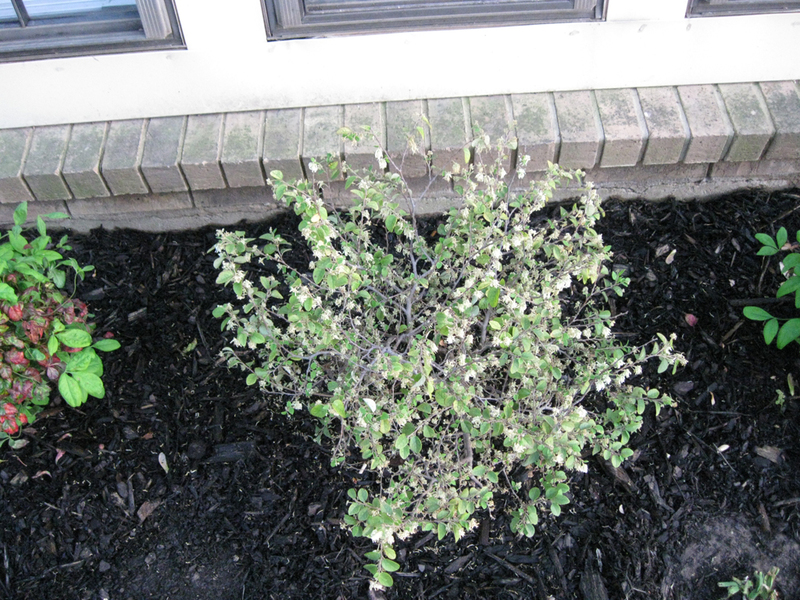 The shrub is smothered with buds about to burst. If it doesn’t bloom in the 24 hours, I will be surprised. 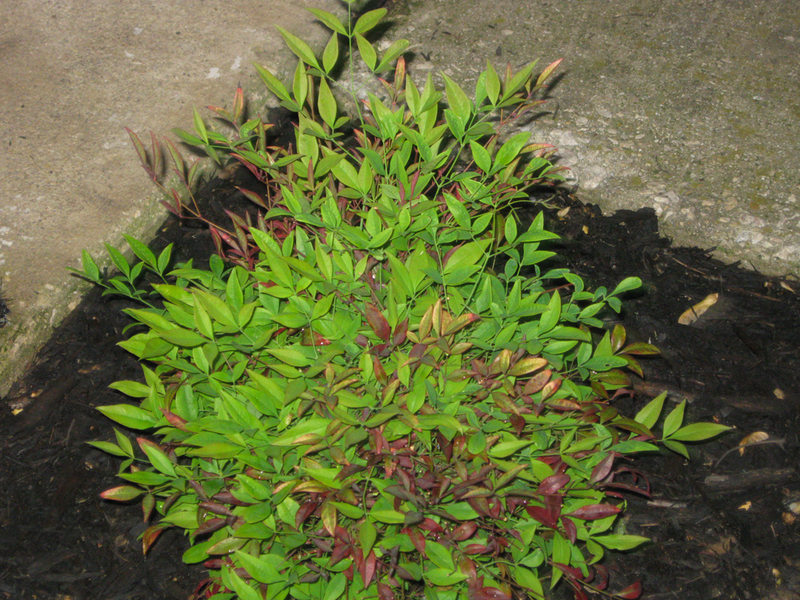 The rest of the front bed is settling in–the Firehouse nandinas are shedding the last of their winter coats. The 2 Dallas Stars have put out new straps. 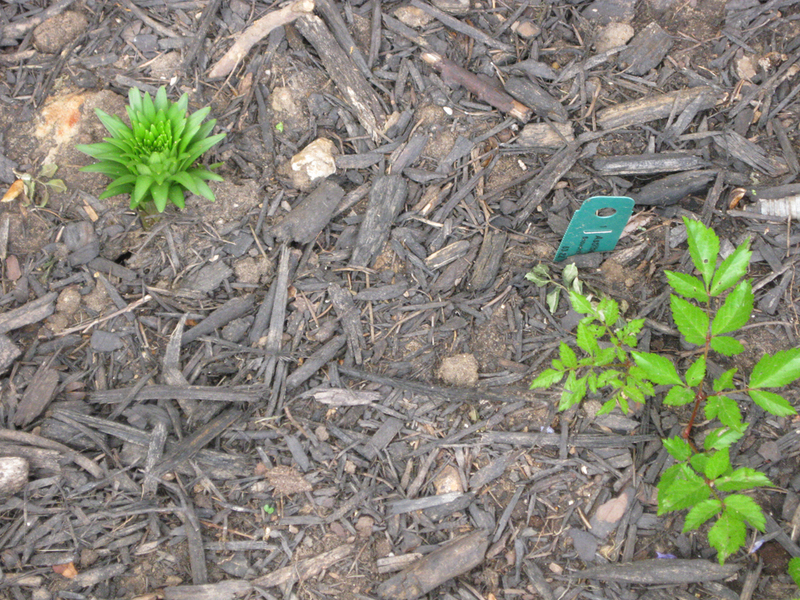 Still no signs of life from the Hosta Minutemen or the astilbe Fanal and Amerika. 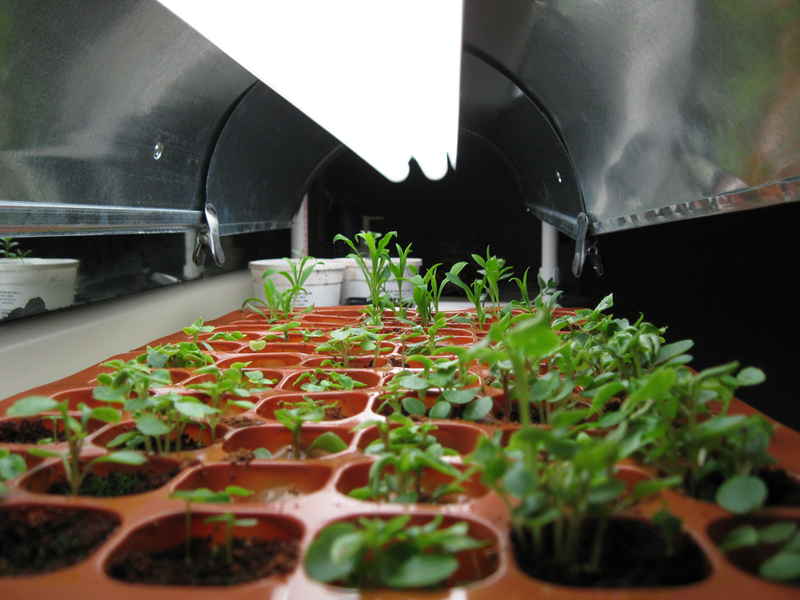 Seed starting kits can dry up, so it’s always important to check the water level to make sure seedlings are getting the necessary moisture. Last night, I discovered that the water reservoir had been emptied, and the dianthus seedlings were the first to show any stress. 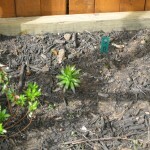 I had intended to transplant them to their new homes, but it will have to wait until they are revitalized. 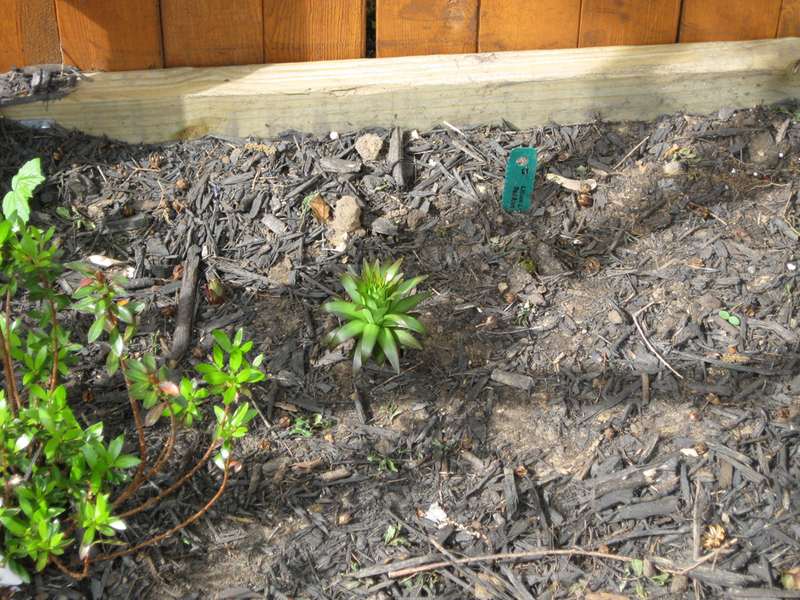 I counted 9 lily bulbs out of the 15 asiatics have sprouted. Only the lollypops are not in evidence. 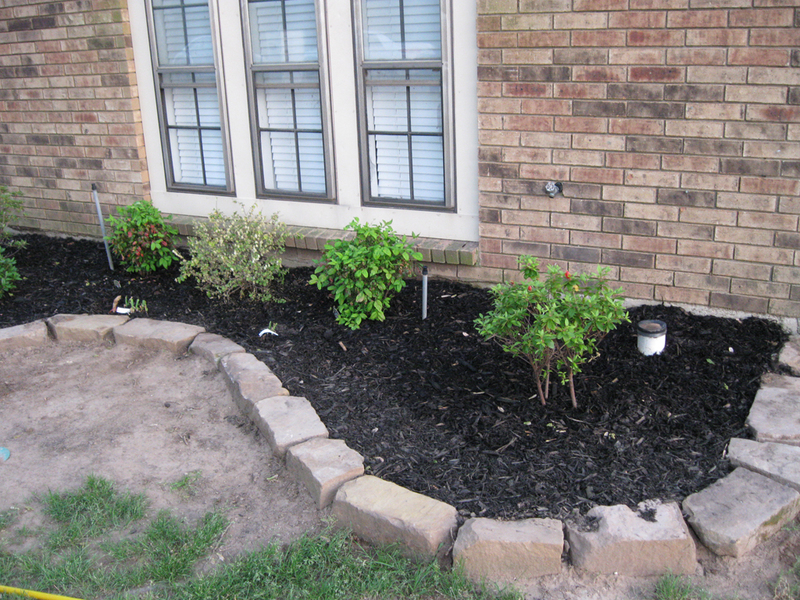 The flower bed is almost in full shade now. 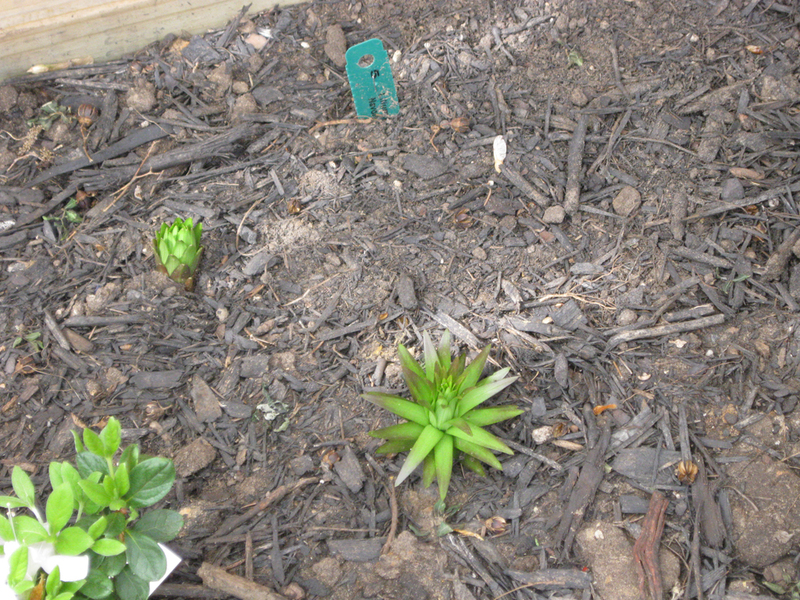 The tallest of the lilies (almost a foot tall) has begun its lean toward the sun. 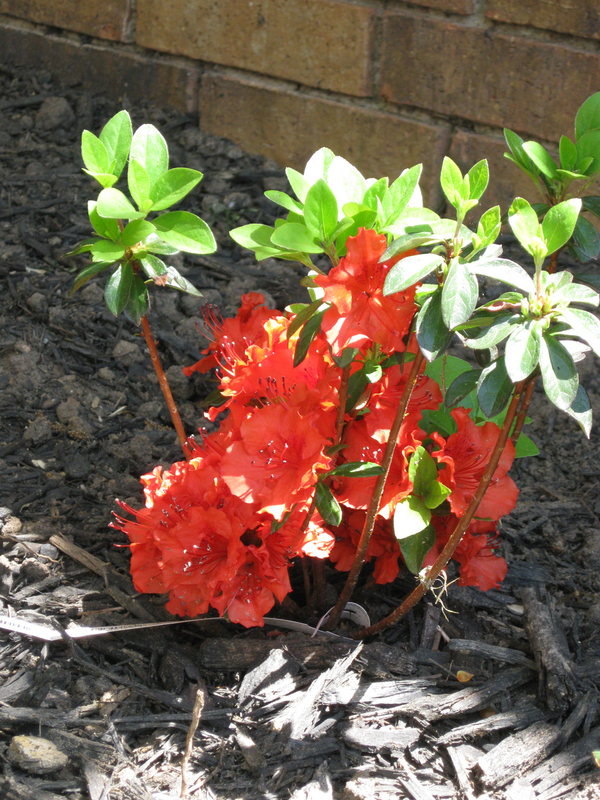 Of the azaleas in the same bed, only Hot Shot and Delaware Valley White have bloomed. 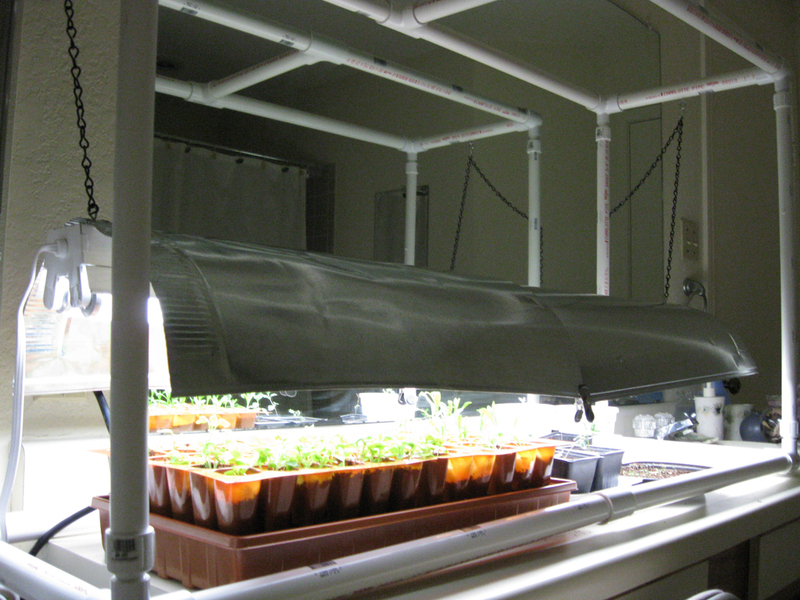 Note: overhead watering should be avoided for these plants. I’m just not convinced that it is the preferred method. 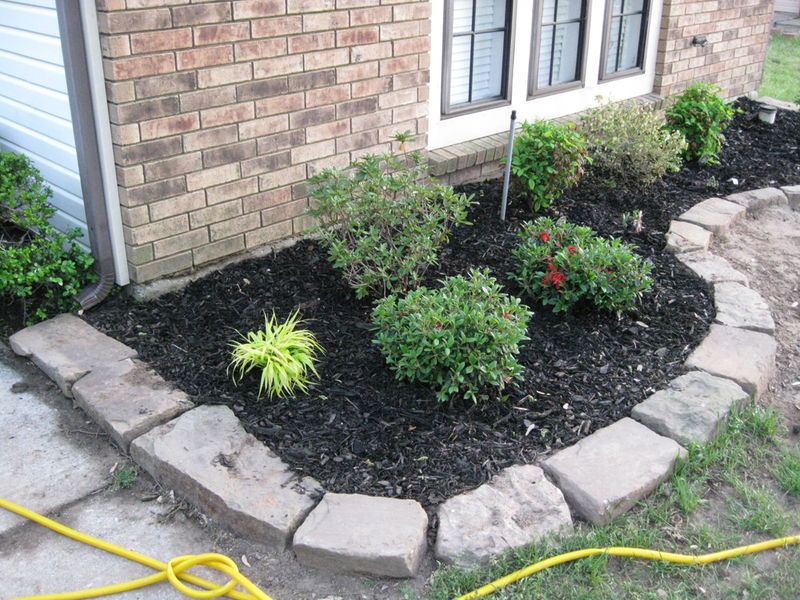 I always had better results using a soaker hose. 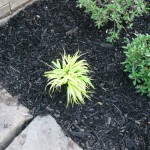 The lone astilbe in this bed continues to leaf out, but I don’t think it will bloom this year. We will have to see. The pansies are rapidly declining as the heat ramps up, but the dianthus are taking over, putting out masses of red and white blooms. 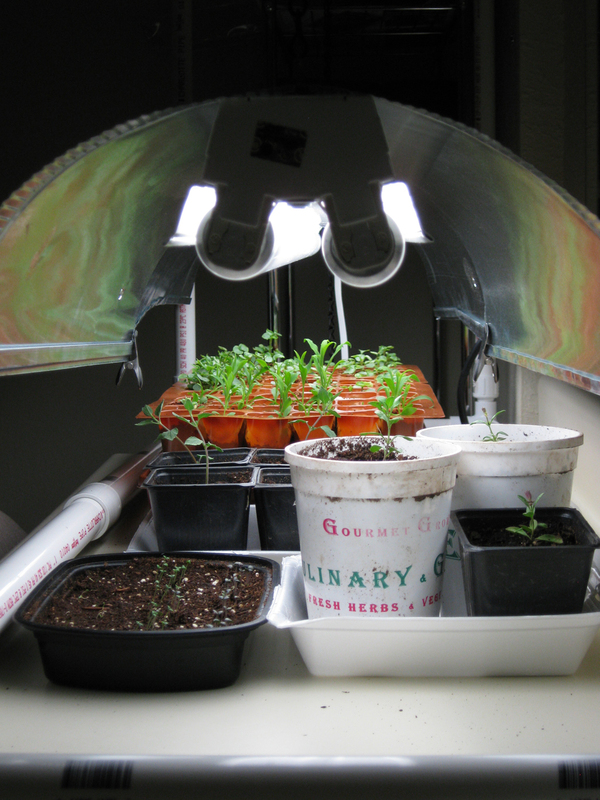 Speaking of dianthus, my seedlings are raking the top of the starter tray. I plan to transfer them to pots soon to finish their growth outdoors. I love these vigorous little plants so much that I’m considering investing in another packet of seeds. The 200 impatiens are crowding their tray pockets, but I’m a little leery of transplanting them. They seem to be more delicate than the dianthus. However I’ve popped the tray off to see how well they do with better circulation. Of this tray system, only 7 cells remain empty. 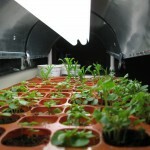 It appears that the seeds in these perished due to mold or contamination. I am uncertain that I will purchase cell replacements since they are only available online. 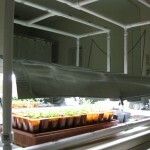 I imagine this system is beneficial for the types of seeds that require more starting maintenance than others. 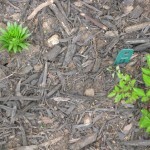 I’ve noticed that with the daylilies receiving more sun they have put on a few inches and new strap leaves. 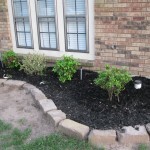 It appears that they have settled into their new homes and have begun their journey to summer blooms. The free Hyperion that I received with the Dallas Stars has shown the most progress. Also, regarding fast starts, it only took a little more than 48 hours for the basil I sowed to germinate. I almost missed seeing the Red Rubin basil germinate (because of their rich dark leaves against the soil) but apparently basil are fast-growing. 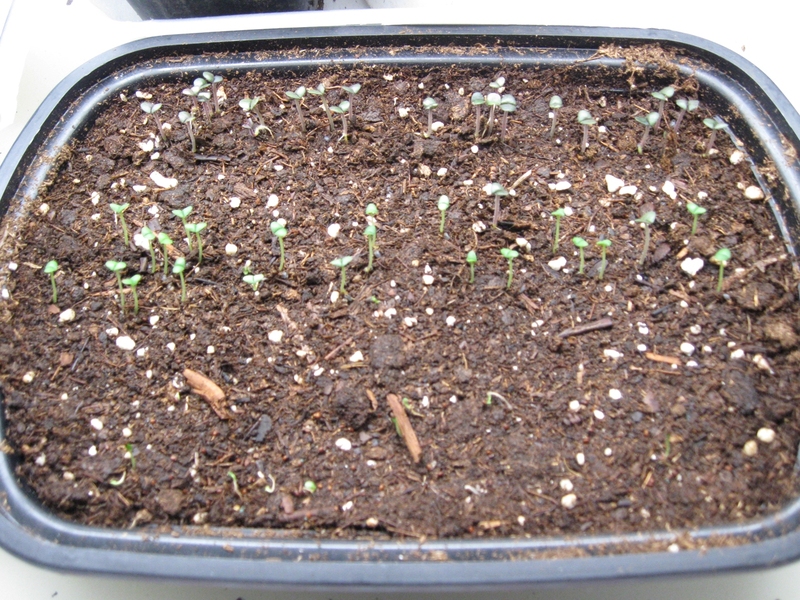 All of the seedlings have their cotyledons, whereas the catmint did not make an entrance until the 3rd-4th day, of which I’ve seen only 2-3 starts so far. I’m not sure if this is typical of catmint or if they dislike the starter soil I’m using. It’s also taking some time to convince the salvia cuttings to enjoy their controlled environment, but I think the secret is water, water, water…until they take root. 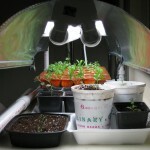 With so many plants under our grow lights, I’m hooked into starting more plants from seed. 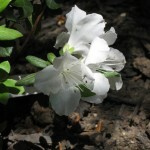 Right now I’m pondering snapdragons, more dianthus and felicia, and maybe even petunias. I also would like to get a hold of some ornamental pepper plants too. 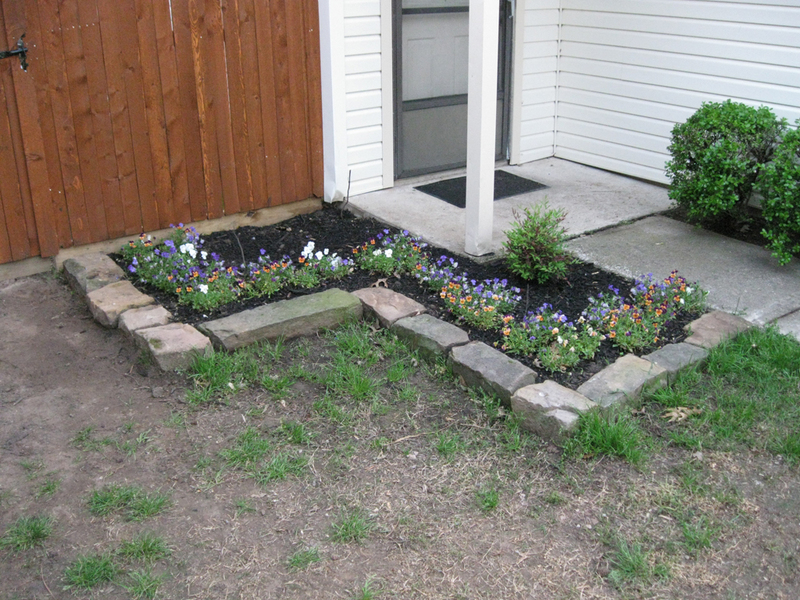 And more natural bug repelling plants, such as catmints, lavenders, and marigolds.